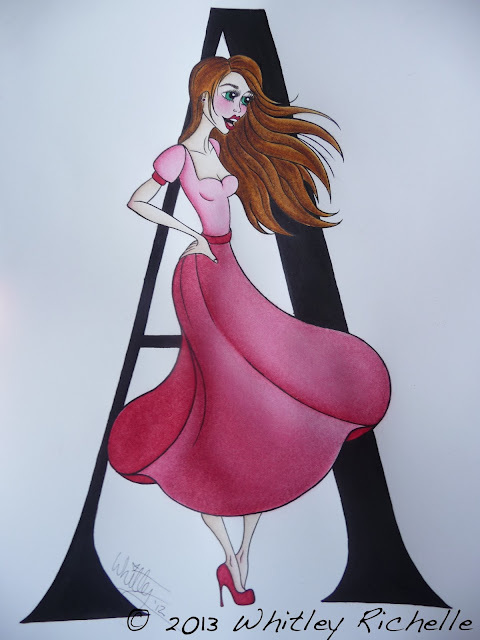 A little pinch of fairy dust...: Alphabet Series - "A"
Just a quick post of another one of the illustrations I made as a christmas gift. 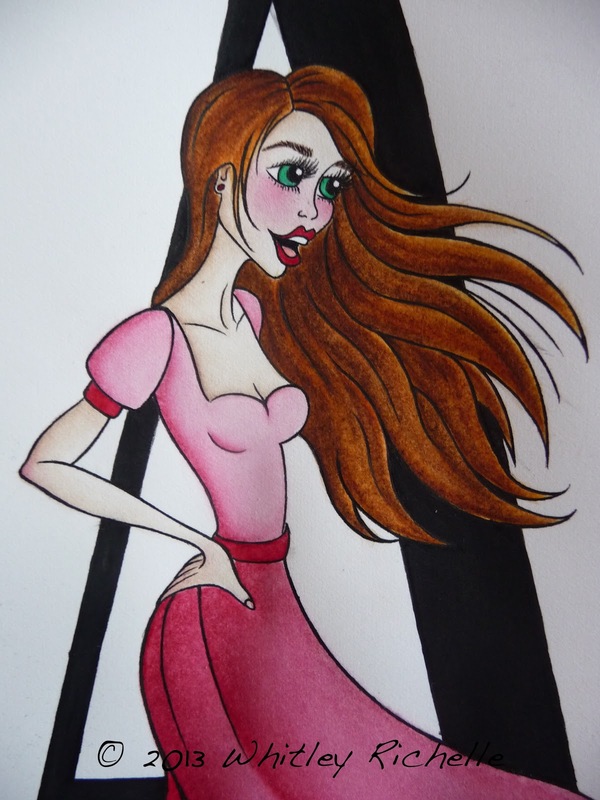 I tried a number of different things with this piece, using smooth watercolour paper (which I didn't like that much as it shows up mistakes), did a shorter dress design and tried to make it look like she was swirling it. Also, because of the different pose it took me ages to develop the final layout as the hair, dress, limb and head positions needed a lot of tweaking to sit 'right'. I still have plenty of illustrations to keep showing you, but I've been having a break from drawing and instead been reading and researching quite a bit. This has been great for my imagination, developing new ideas and getting enthused about being creative again!